Although 2018 continued to be a dumpster fire in many of the same ways 2017 was, it was at the very least a great year for reading. I read 88 books this year*, and was astounded by all the literary greatness. Choosing only ten favorite books from 2018 was no easy feat. I’m quite proud of myself that I managed it! *So far. I am well aware that there are 12 days left of the year and I am still reading. But at the moment I’m up to my eyeballs in research books that are completely fascinating to me but unlikely to end up on a top-ten list of favorites. 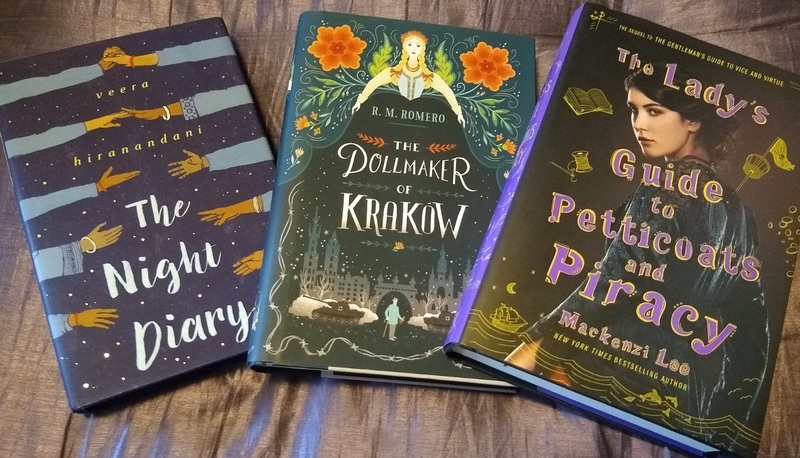 THE DOLLMAKER OF KRAKOW (MG historical) by R. M. Romero tells the story of Karolina, a doll who comes to life as the Nazis roll in to Krakow. Heartbreaking, lovely, and poignant. ORPHAN MONSTER SPY (YA historical) by Matt Killeen is about a kickass Jewish teen who infiltrates an elite Nazi school. Looking forward to the sequel already! 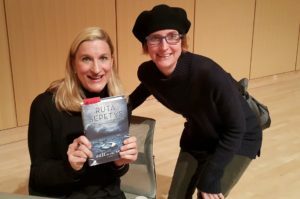 NOTHING BUT SKY (YA historical) by Amy Trueblood sends the reader high over the skies in the 1920s with wingwalker Grace. Love the historical details in this one. THE NIGHT DIARY (MG historical) by Veera Hiranandani is told by Nisha, a young girl composing letters to her deceased mother during the turbulent time when India becomes independent and breaks into two separate countries, India and Pakistan. Epistolary novels are most decidedly my jam. THE LADY’S GUIDE TO PETTICOATS AND PIRACY (YA historical) by Mackenzi Lee features asexual Felicity in her well-deserved own story after playing a side character to her brother Monty and his love interest Percy in THE GENTLEMAN’S GUIDE TO VICE AND VIRTUE. While I adored GENTLEMAN, I’m pleased to report that I loved LADY even more. Historical fiction at its best! Also as usual, I fell hard for some amazing novels-in-verse this year. 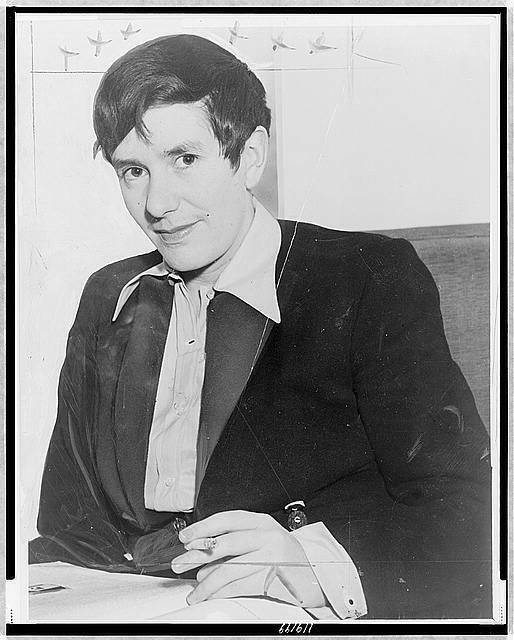 JAZZ OWLS (YA novel-in-verse) by Margarita Engle is such a gorgeous book about the Zoot Suit Riots. The poetry is absolutely lovely, and the details she weaves into the lines just sing. As a bonus, artwork throughout by Rudy Guitierrez further sweeps the reader away. 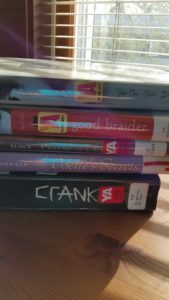 REBOUND (MG novel-in-verse) by Kwame Alexander is a prequel to his Newbery-award-winning THE CROSSOVER, aka the verse novel that astounded me with its ability to interest me in a sport. REBOUND is actually a historical too, since it’s the story of the dad in THE CROSSOVER as a teen, so it doubly captivated me. Un-put-down-able. BLOOD WATER PAINT (YA novel-in-verse) by Joy McCullough is stunning. It tells the timely #MeToo story of Artemisia Gentileschi, a painter active in Italy in the early 17th century. But don’t just take my word on it. BLOOD WATER PAINT is winning all kinds of praise, and is a newly-announced Morris Award finalist. THE POET X (YA novel-in-verse) by Elizabeth Acevedo is pretty much everything. This book! The poetry grabs you by the heart, and Xiomara’s voice rings true and loud and in-your-face, and so many people needed her story right now, and I can’t recommend it enough. 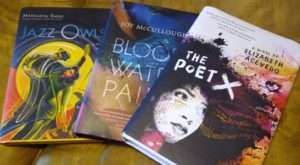 On top of all that, THE POET X just won the National Book Award for Young People’s Literature, so others think it’s a pretty awesome book too. Side note: if you ever get the chance to see Elizabeth in person, do not miss it! Finally, a bit of a curve ball. 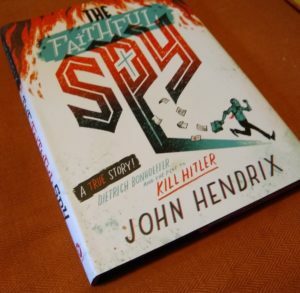 The Faithful Spy (YA nonfiction) by John Hendrix caught me completely off guard. I had pre-ordered this one because I’m particularly interested in World War II resistance within Germany by Germans, and I’ve long held great respect for pastor Dietrich Bonhoeffer. As expected, I devoured it when it arrived, but the unexpected thing is … I simply cannot stop re-reading it. I just love it so much. I’ve never read such a gripping work of non-fiction, and I absolutely credit that to the graphic presentation. The story of Bonhoeffer’s life progresses in a linear fashion, but it’s broken up by compelling images, descriptions, and details that add up to a full and rich picture not just of this one important man’s life, but of the terrible time he lived in and how he reacted to the circumstances as a person of conscience. 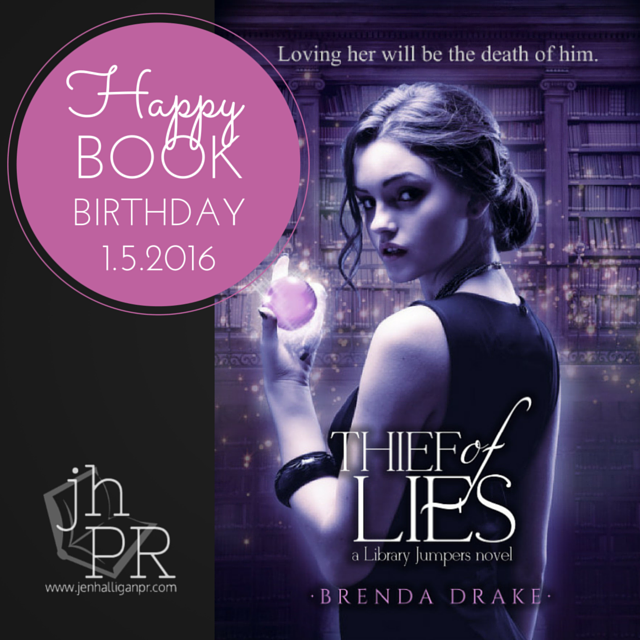 This book is a masterpiece and I would love to thrust it upon more readers, so here! On top of all these wonderful books, I’ve also had the chance to read ARCs of some of the new books coming your way in 2019. From Gita Trelease’s ENCHANTÉE to Justin Reynolds’ OPPOSITE OF ALWAYS to Laurie Halse Anderson’s SHOUT to Mariama Lockington’s FOR BLACK GIRLS LIKE ME to Lamar Giles’ THE LAST LAST-DAY-OF-SUMMER, you are in for some fantastic treats! This summer, I decided to join the #takeyourbookoutdoors challenge started by bookstagrammer Bronte, and August ended up being another great month for me to do so. There were some quite hot days, but many beautiful ones, and I took my books along to all sorts of fun places. 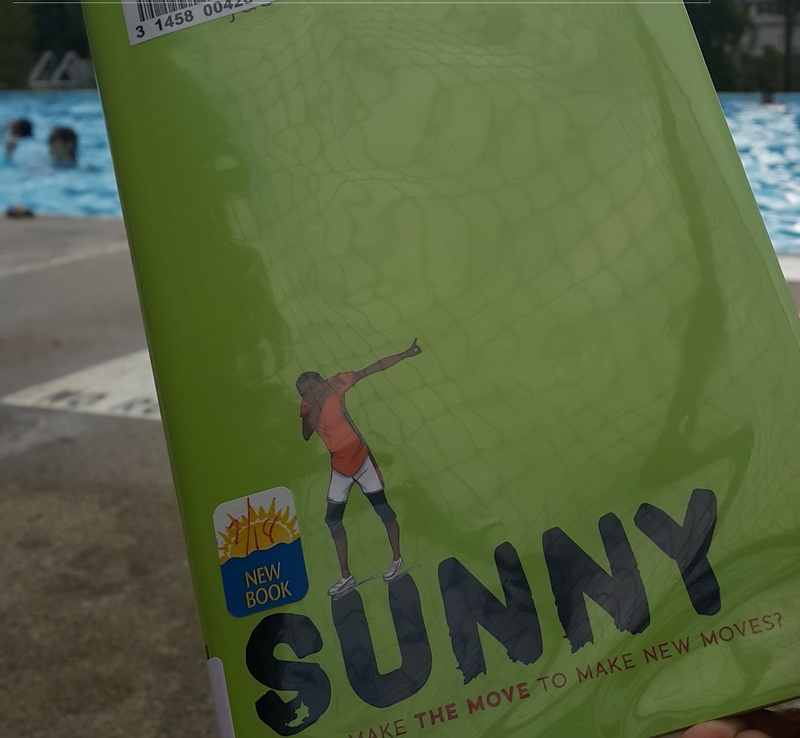 One one of those hotter days, I took SUNNY by Jason Reynolds along to the pool. One of my local librarians recommended this book to me, since she knows how much I loved LONG WAY DOWN. This book is for the younger (middle grade) crowd, but sings with musical prose. 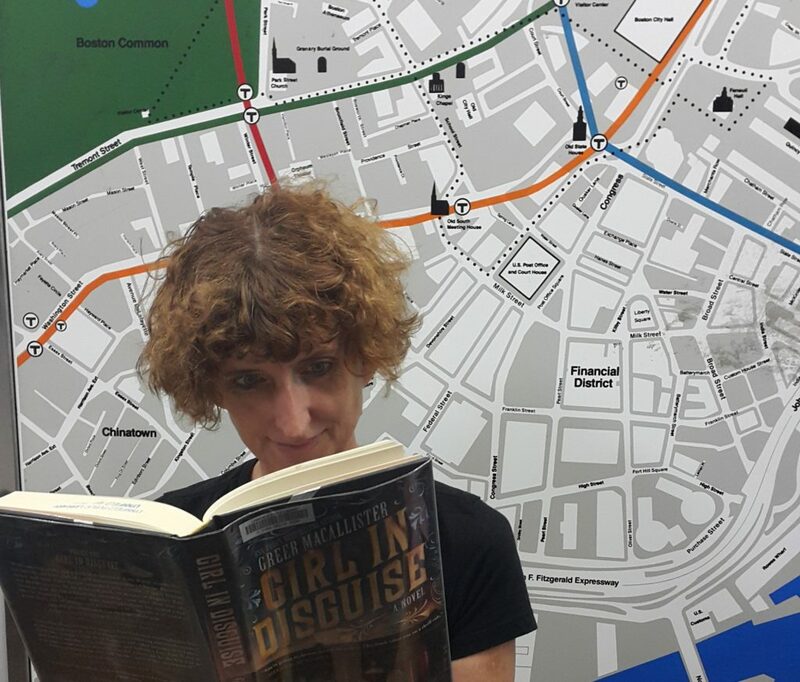 Sometimes getting outside means taking the T, and I was reading GIRL IN DISGUISE by Greer Macallister on a trip into town for some dumplings. This book about the first female Pinkerton detective really hooked me. 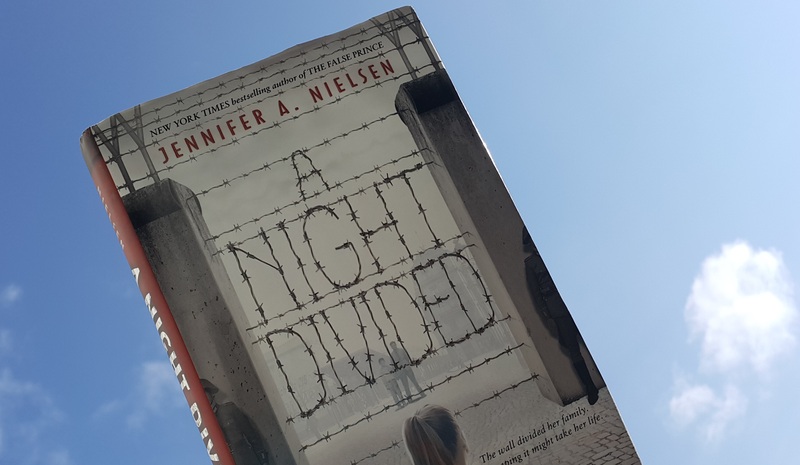 A NIGHT DIVIDED is on the MCBA (Massachusetts Children’s Book Award) list this year, and my children both thrust it on me, telling me how much they loved it. 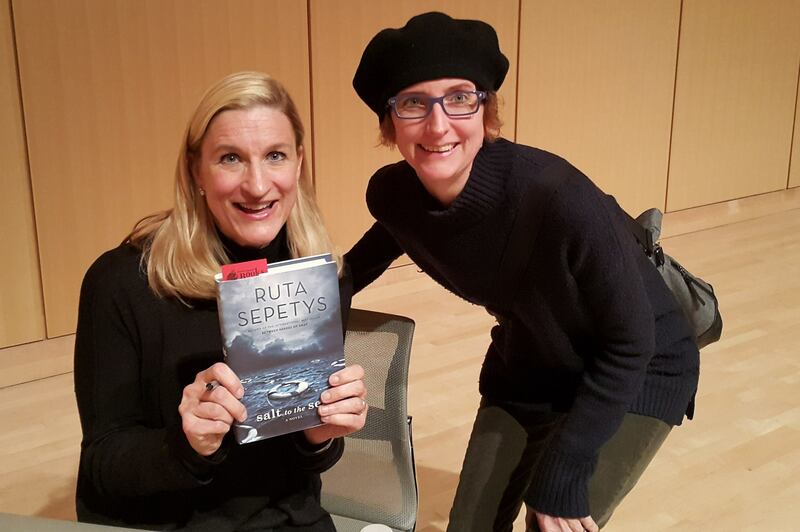 The book tells the story of a family divided by the Berlin Wall. I had to keep stepping outside for fresh air and looks skyward as the clock ticked on against their escape plans. 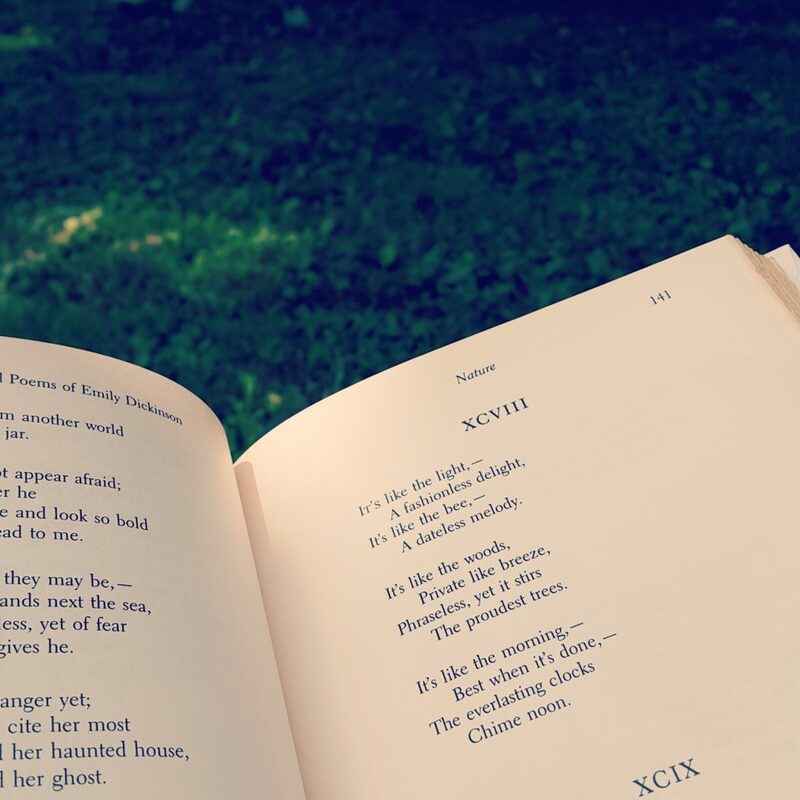 On a literary field trip this month, we had the chance to read some of Emily Dickinson’s poems below her window among the tree stumps. We each opened to a random page and read the poem we found there out loud. I read this one just afternoon. Chills! 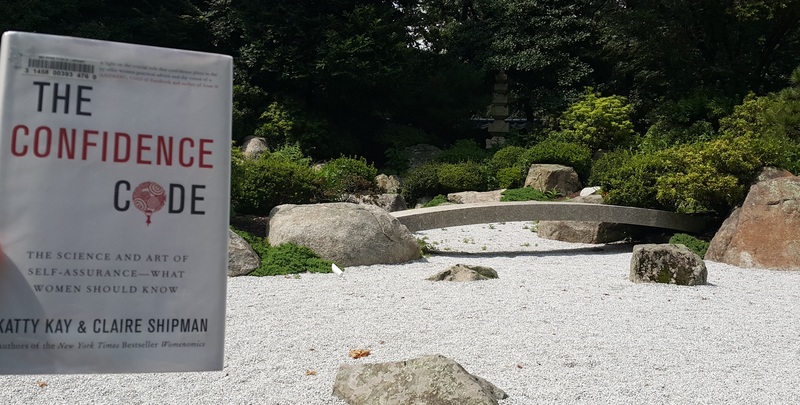 I read THE CONFIDENCE CODE by Katty Kay and Claire Shipman (here at the Japanese Garden at the MFA) this month. It was jam-packed with interesting science, but I’m now reading THE CONFIDENCE CODE FOR GIRLS (which I checked out for my daughter), and I’m enjoying that version even more. 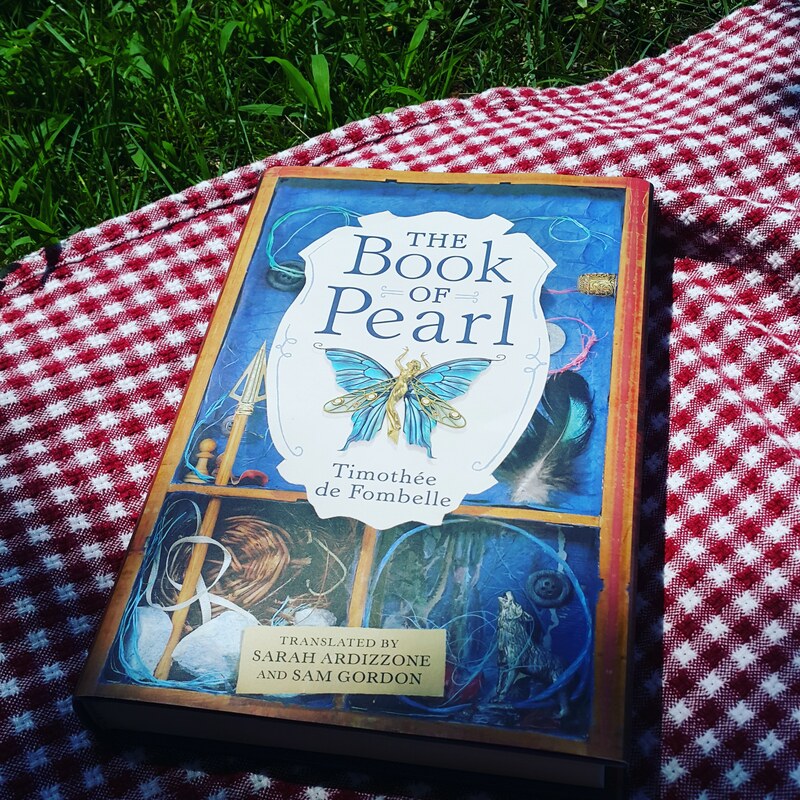 A BOOK OF PEARL by Timothée de Fombelle was my companion for a few delicious days, including on a lakeside picnic. Part historical, part fantasy, part fairy tale, this book is absolutely gorgeous (as is de Fombelle’s other work–loved VANGO as well). 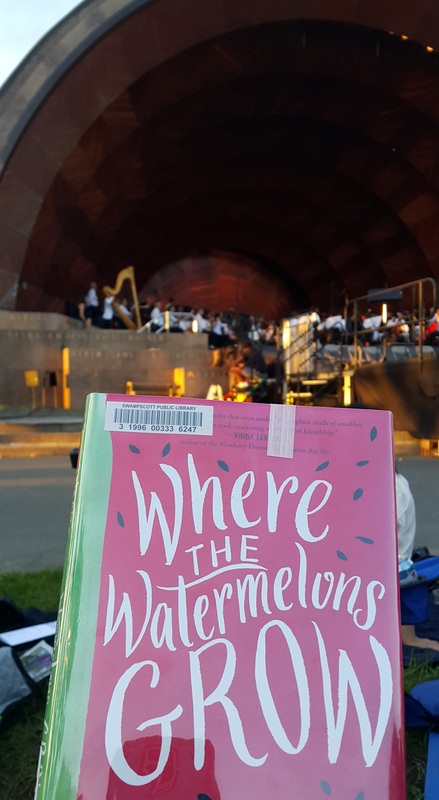 Finally, I took WHERE THE WATERMELONS GROW by Cindy Baldwin along to the Hatch Shell for a (free!) Landmarks Orchestra concert and got to read a little while waiting for the amazing dance performances to begin. This lovely, painful book is a perfect summertime read that ends with buckets of hope. What great reads have you taken outdoors this summer? Last month I decided to join the #takeyourbookoutdoors challenge started by bookstagrammer Bronte, and I had just as much fun taking my books outdoors in July as I did in June. This month actually included a week of vacation, so my great outdoors went beyond Boston and up to the beautiful Green Mountains of Vermont and tranquil Lake Champlain in New York. 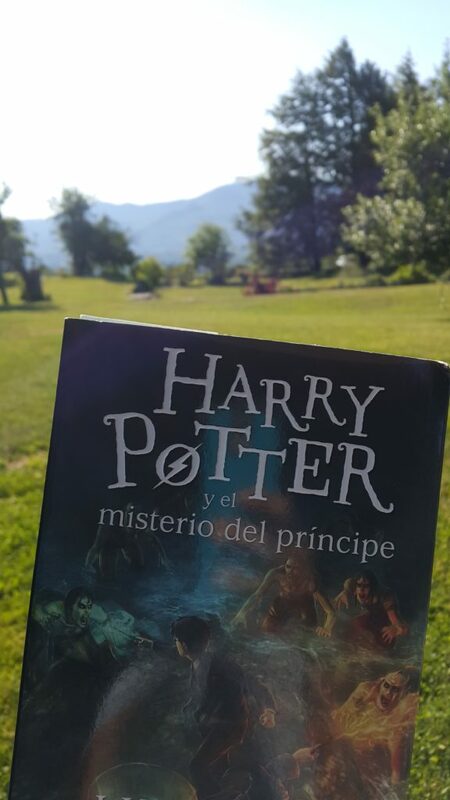 First off, my daughters and I are continuing our read-aloud of HARRY POTTER AND THE HALF-BLOOD PRINCE, and we got to read a chapter one morning before breakfast in the most gorgeous setting in Vermont. 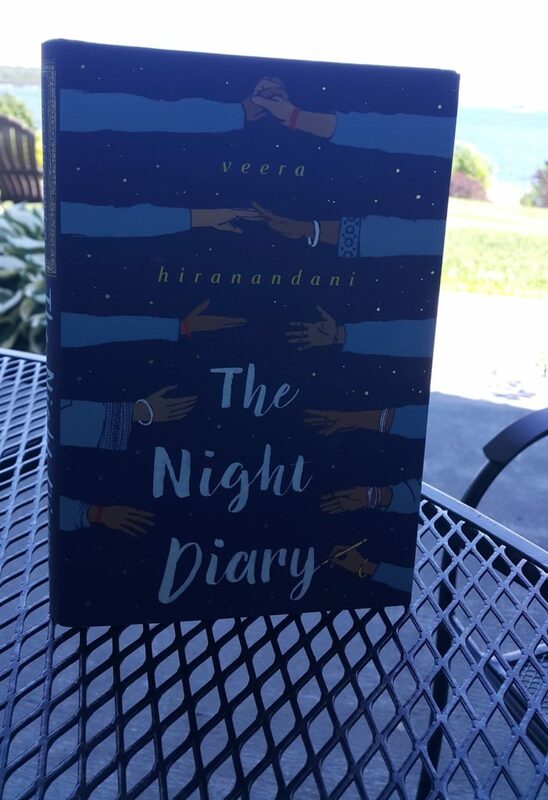 I also started reading THE NIGHT DIARY by Veera Hiranandani while at a writing retreat for a few days on Lake Champlain. One of my daughters had thrust this book in my hands and I could see why she loved it as soon as I started it. Such an emotional, epic journey set in the newly-separated Pakistan and India in 1947. 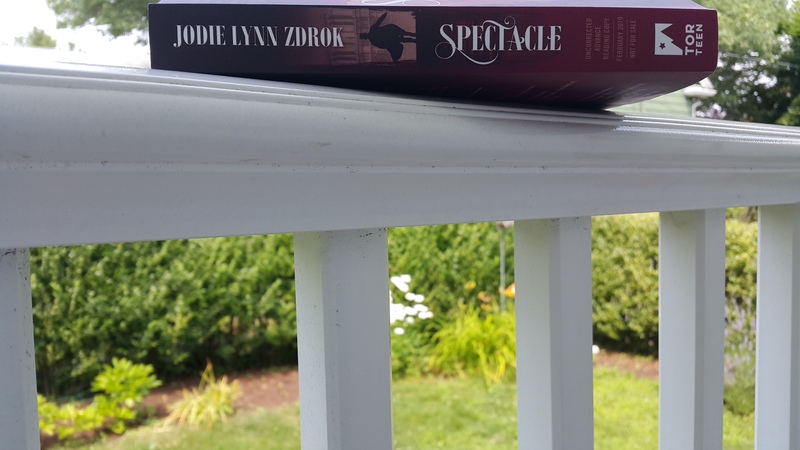 Back home from vacation, I had the luck of receiving an ARC of SPECTACLE by fellow member of the #novel19s, Jodie Lynn Zdrok. My photo from reading in my own back yard is of the spine because the atmospheric cover hasn’t yet been revealed! But it’s a perfect match to this historical fantasy set in nineteenth century Paris. 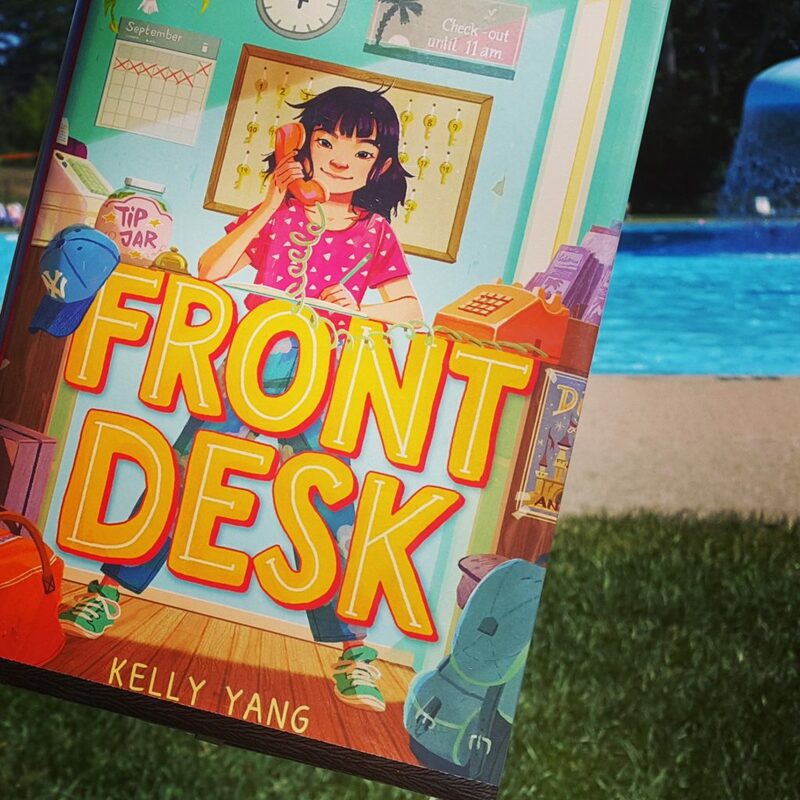 Another book I started poolside after my daughters devoured it was FRONT DESK by Kelly Yang. What I love best about this book was how it gave us so much to talk about: how hard life can be, especially for new immigrants, how prevalent racism is, and how experiences from people’s own lives can make the best stories. 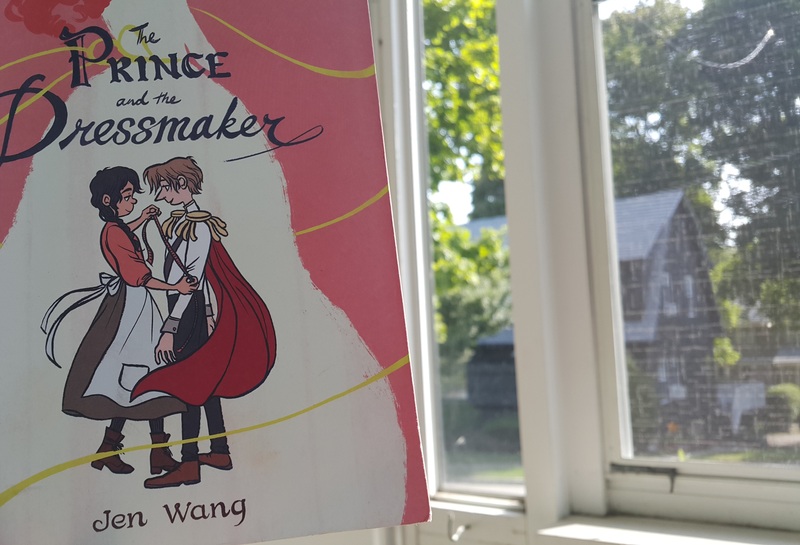 Finally, a shot from our new reading nook on our front porch (sadly, a three-season porch, which means a one-season porch in Boston) of THE PRINCE AND THE DRESSMAKER by Jen Wang. This graphic novel is absolutely adorable, and this time, my kids devoured it after I did. The historical details, charming characters, and steadfast friendship between this fictional Belgian prince who loves wearing dresses and his ingenious dressmaker is absolutely charming! Prompted by the #takeyourbookoutdoors call by bookstagrammer Bronte, I decided to do just that this summer and take advantage of the few months of the year when the weather actually cooperates in Boston. This June has been a particularly fine month for weather, which means I got to enjoy books in all sorts of places, and I had a whole lot of lovely books to read this month, which made it even more fun. 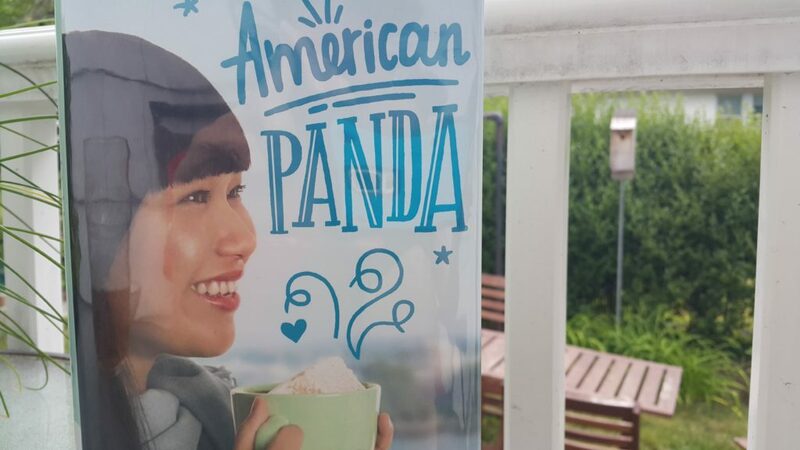 At first, I didn’t venture out too far, taking AMERICAN PANDA by Gloria Chao out to my back porch. This book is so, so fun to read, but it also has a more serious side that made me fall hard for it. Bonus points for taking place just down the road at MIT! More bonus points for being a YA set in college–would love to see more of these. Next I headed to one of my regular summertime haunts (the beach, of course! 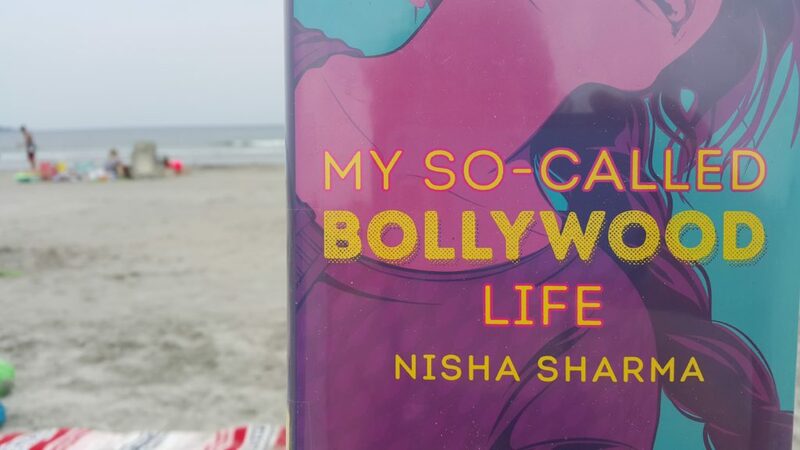 ), taking MY SO-CALLED BOLLYWOOD LIFE by Nisha Sharma with me. What an adorable story! The romance is top-notch, but really what sold me on the book was the way all the relationships felt so real, including the romance of course, but also the friendships and family relationships. It was refreshing to read a YA with such likable parents! 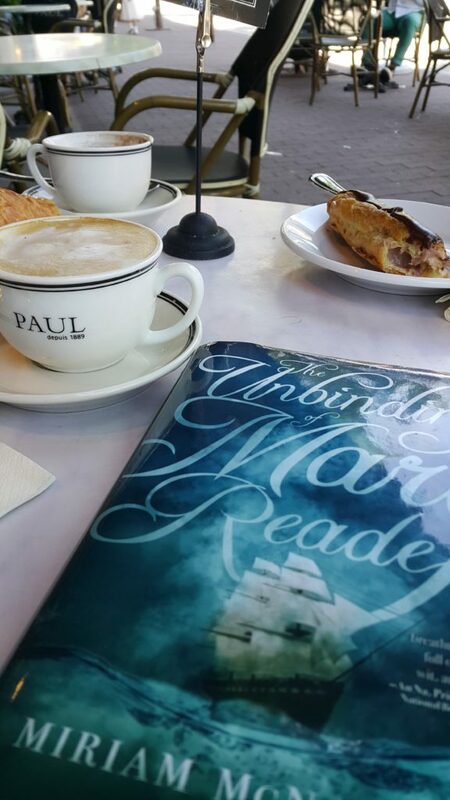 My next read took me out to sea even though my body stayed firmly on land at an outdoor café while I read THE UNBINDING OF MARY READE by Miriam McNamara. 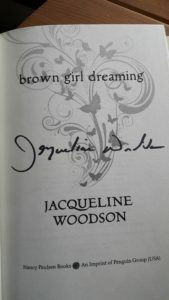 This book is full of adventure, romance, and all the gender and sexual orientation questioning. Plus who wouldn’t love a book about girls dressing up as boys, especially when the characters are based on historical pirates? Since I was out at sea for UNBINDING, I was drawn to the harbor for my next read. My children and I have been making our way through the Harry Potter series, and we’re currently on book six. 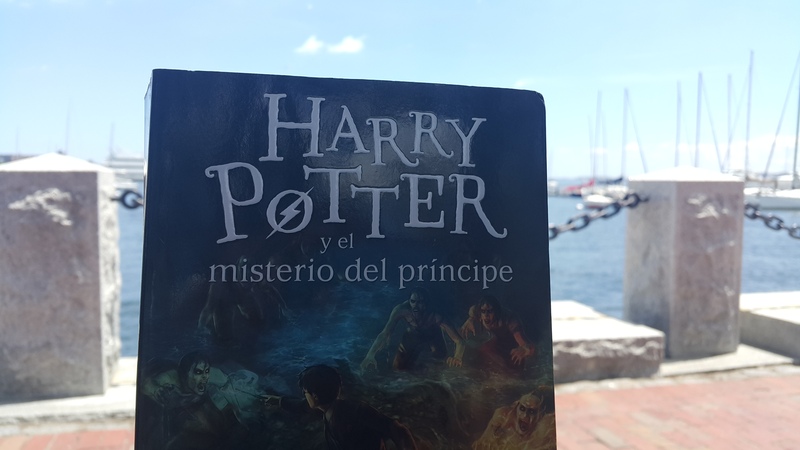 I read the books myself in English back in the day, so reading them in Spanish (my children’s first language) is somewhat like reading them again for the first time. 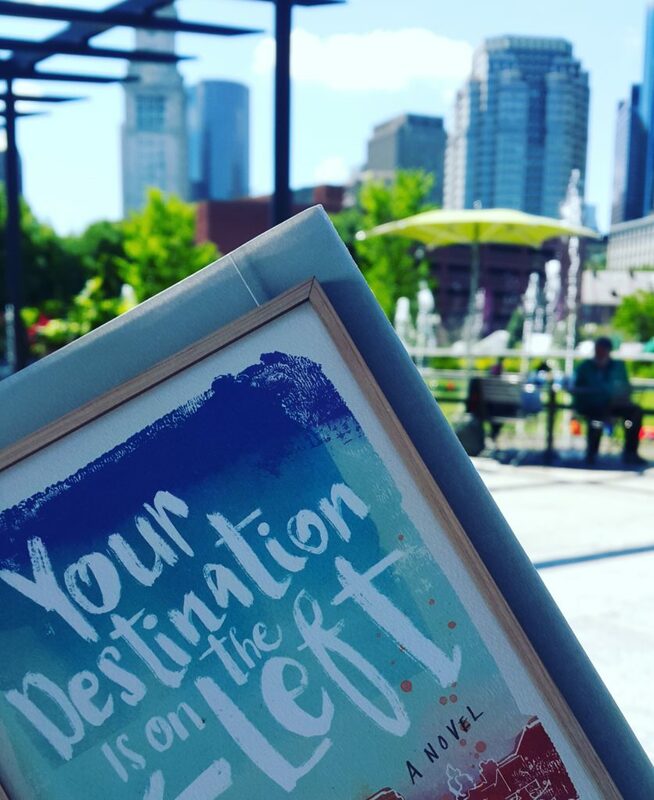 Finally, I wrapped up the month by starting YOUR DESTINATION IS ON THE LEFT by Lauren Spieller, which I brought along on an outing to the North End (not pictured: pizza from Regina’s and granita from Caffe Vittoria). I’m already loving the story of nomad Dessa and am looking forward to finding out where the road will take her! 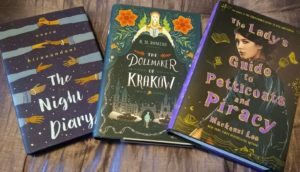 My favorite books from 2017 contain a bit more of an eclectic mix than my usual YA historical fare, although I’ll start off by giving a shout-out to one of my favorite books released this year, THE GENTLEMAN’S GUIDE TO VICE AND VIRTUE. I’m not including it on this list since I was lucky enough to read an ARC in 2016 instead, but I’m still oohing and aahing over it a year later, so definitely get on that if you haven’t read it yet. Out of the sixty-four books I read this year, my top picks include some historicals, some verse novels, and a few other surprises, so without further ado, here they are! 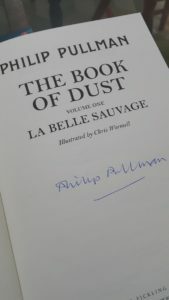 THE BOOK OF DUST by Philip Pullman (MG fantasy). 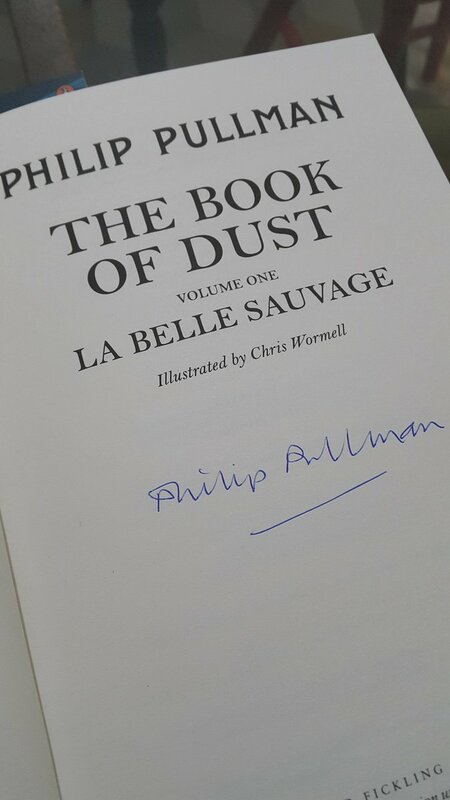 I was lucky enough to pick up a signed copy in Oxford (after stopping by Lyra and Will’s bench at the botanical garden). 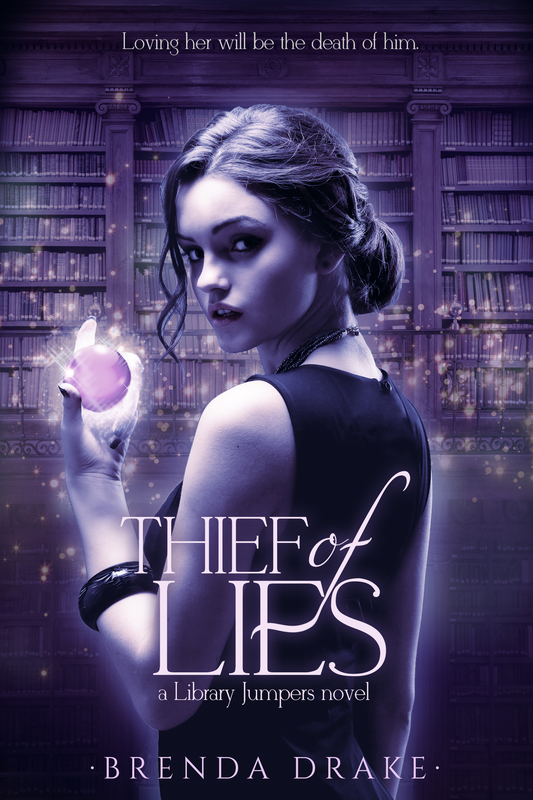 Fans of Lyra and her world will love this first book in the new trilogy just as much. SOLO by Kwame Alexander (YA novel in verse). I’m a huge fan of Kwame’s books, and I especially loved the way this one brings music into the story. LONG WAY DOWN by Jason Reynolds (YA novel in verse). The sparse, powerful writing, striking images, and punch to the gut at the end left me reeling. THE HATE U GIVE by Angie Thomas (YA contemporary). Once I cracked open this book, I couldn’t put it down until I finished it. So, so powerful and a must-read for everyone. 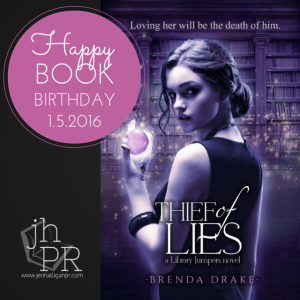 THE PEARL THIEF by Elizabeth Wein (YA historical). As a fan of CODE NAME VERITY, I absolutely adored this dive into the backstory. ECHO by Pam Muñoz Ryan (MG fairy tale). This is one of those books that seems to have been written expressly for me. Reading each of the finely-crafted tales and watching them come together was absolutely magical. REFUGEE by Alan Gratz (MG historical/contemporary). Like ECHO, this book seamlessly weaves together three heartbreaking stories about refugee children escaping terrible situations with their families. AMONG THE RED STARS by Gwen Katz (YA historical). This book about the Night Witches was everything I’d hoped it would be–from its gripping action scenes to its epistolary format. YORK: THE SHADOW CIPHER by Laura Ruby (MG steampunk). This book was so unique and lovely and made me laugh out loud. Can’t wait for the next installment. SEE WHAT I HAVE DONE by Sarah Schmidt (Adult historical). I’ve read some Lizzie Borden novels before, but the lyrical voice in this one really blew me away. So fresh and fantastic. Any other fantastic books I might have missed that seem particularly kippish? Please share any favorites below! creatures traveling across the gateway books—rescue them from a demonic hound. and her head, between Arik’s world and her own, before both are destroyed. We stepped into the Children’s Library and stopped in the center of the room. A massive light fixture designed to resemble the solar system dominated the ceiling. The hushed rumble of two male voices came from one of the reading nooks. I crossed the room, paused at the built-in aquarium, and inspected the fish. “This is great,” I whispered, not wanting to disturb whoever was in there with us. searched the shelves for my all-time favorite novel. The male voices stopped and there was movement on the other side of the bookcase. I paused to listen, and when the voices started up again, I continued my hunt. Irish grandmother’s animated tales, which gave her a strong love for storytelling. Get these books on your own lists pronto! You won’t be sorry, and I’m sure I won’t be either!